We invited patients who celebrated their 70th birthday this year to the tea party on 23rd July 2018. 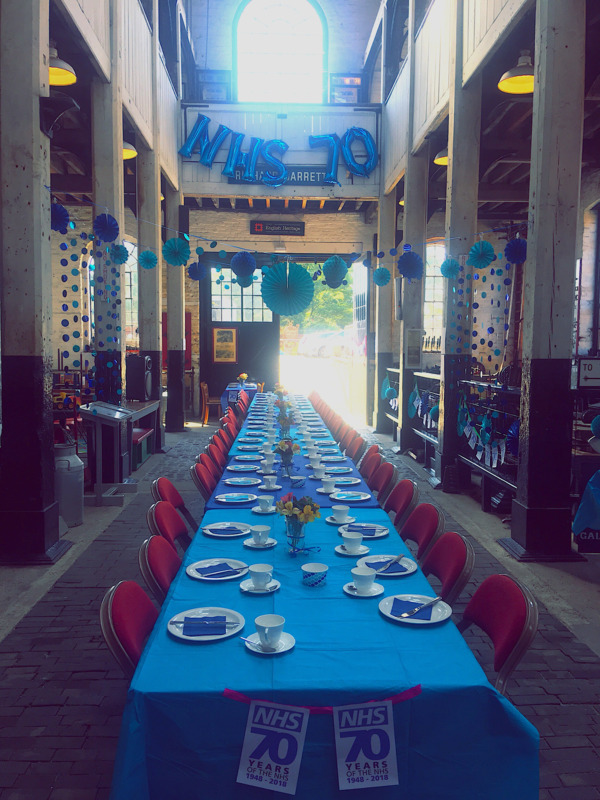 The Long Shop Museum kindly let us use the premises to hold our NHS 70th birthday celebrations. A number of community organisations who came together to help organise the event including; Leiston Together, Leiston Dementia Project, Long Shop Museum, members of the Active Communities Team, Leiston W.I. and members of our PPG (Patient Participation Group). 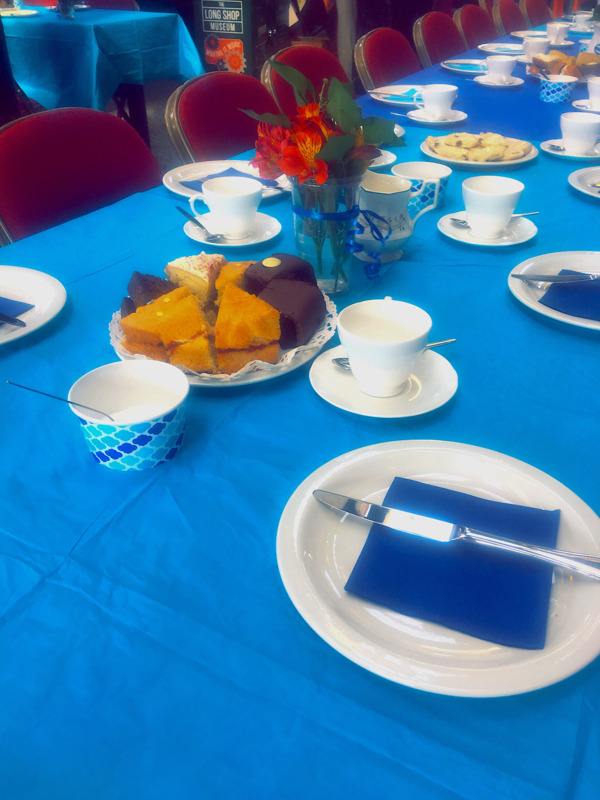 The U3A Ukelele Band entertained our 40 guests whilst they were waited on by all those involved with the setting up of the venue, and were served with sandwiches provided by Access Community Trust and delicious cakes and scones made by the Leiston W.I. members. John Heald was on hand to kindly take photographs to record this truly special occasion. Dr Blades and Dr Simmonds stopped by to take part in the celebrations. The Leiston Dementia Project Officer was also at the event to hear people's memories of the NHS over the past 70 years as part of the Reminiscences Project, and Russ Rainger, a Trustee of the Long Shop and County Counciller for Leiston, thanked all those who attended and helped organise the event and provided a few facts of Leiston from the past 70 years and also some historical facts on the Leiston Surgery itself. The event was a great success and thoroughly enjoyed by all. We'd like to take this opportunity to thank all those who attended and all those who took part in the organising of, and for all those who kindly helped and took part in the day itself. It was wonderful to be able to bring everyone together for such a unique occasion and to highlight our community working collaboratively.